This is a fun design for a bakery! 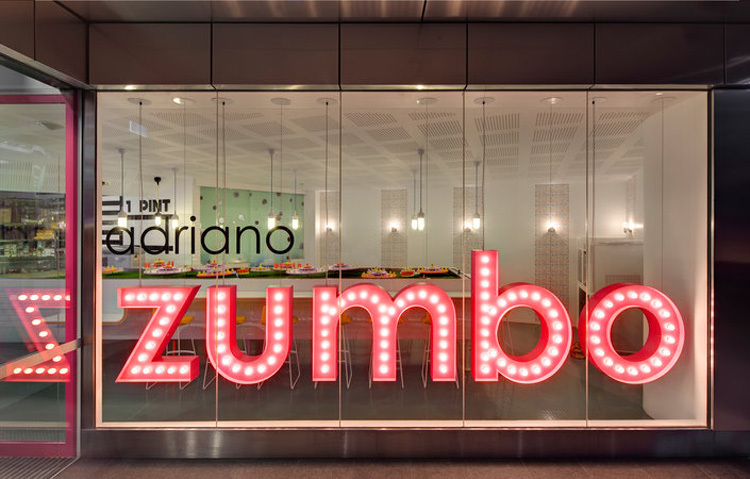 Adriano Zumbo, who has four locations in Australia, creates desserts that are unique in concept and execution, and so it would seem that designers Luchetti Krelle (Stuart Krelle and Rachel Luchetti) set out to design a space unique in concept and execution as well for Zumbo’s latest location at the Star Casino in Pyrmont. Full of humor from the windmill boots in the window to the dessert conveyer belt and the “In Case of Emergency Break Glass” cases of French Macarons, the space is sure to lure in any passersby. 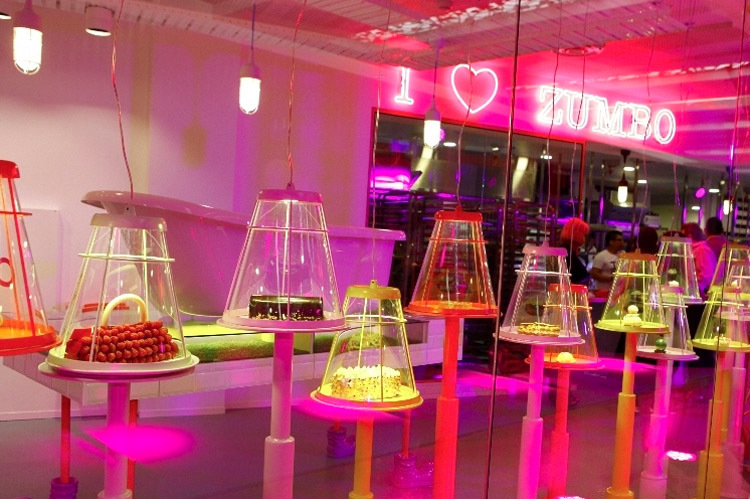 Photos by Murray Fredericks and Adriano Zumbo’s website. This entry was posted in Architecture, Food, Fun, Industrial Design, Stuff We Like. Bookmark the permalink.